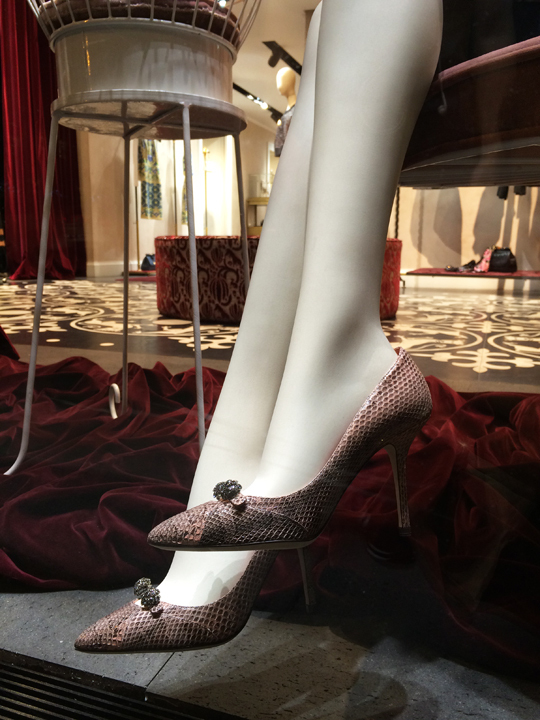 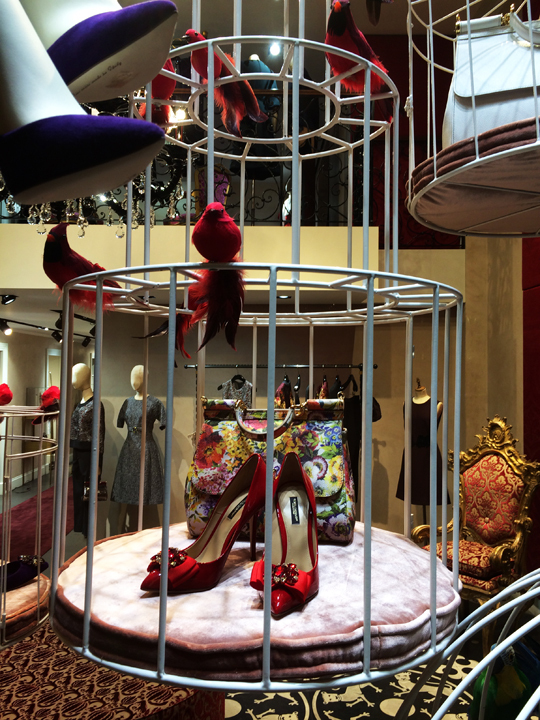 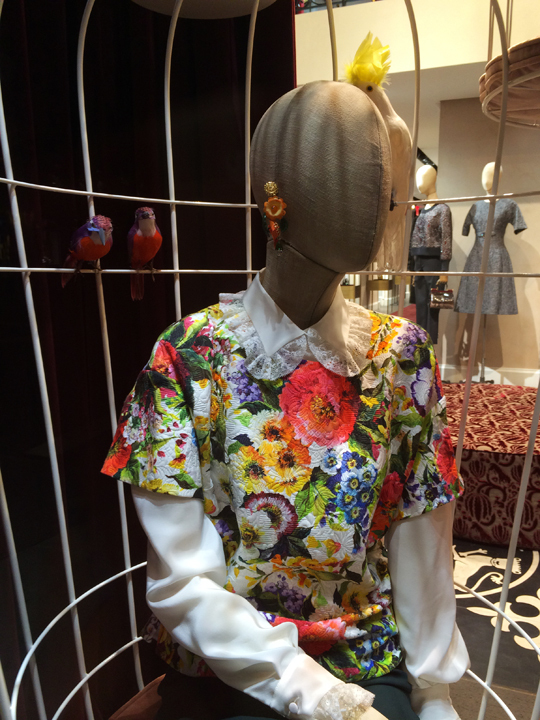 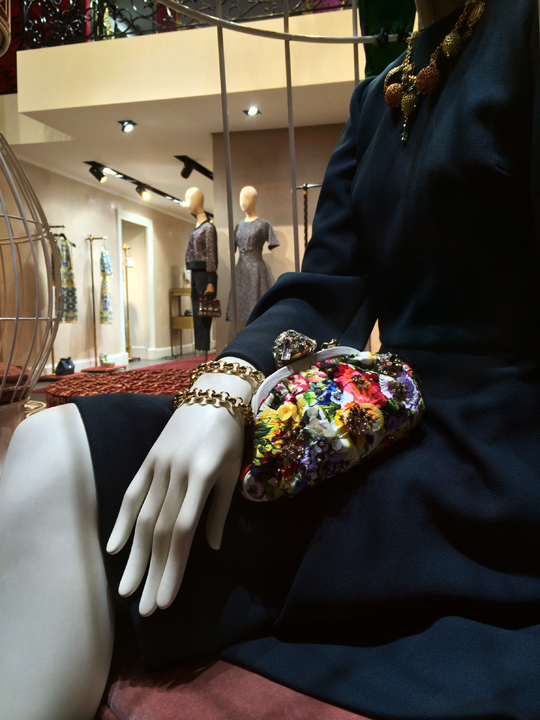 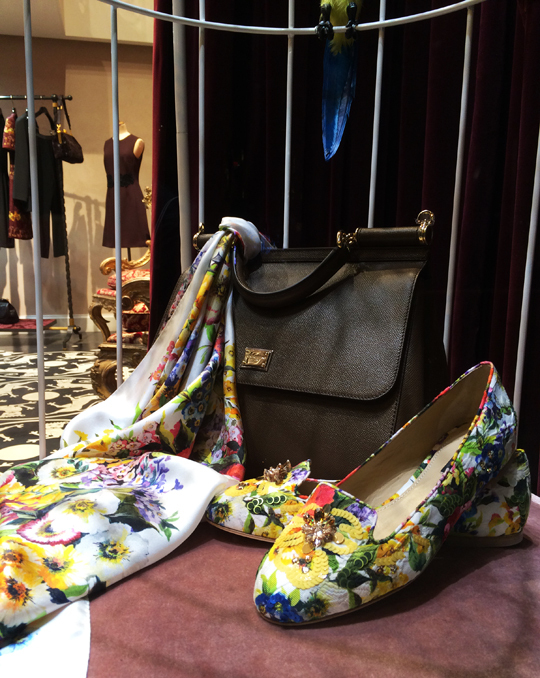 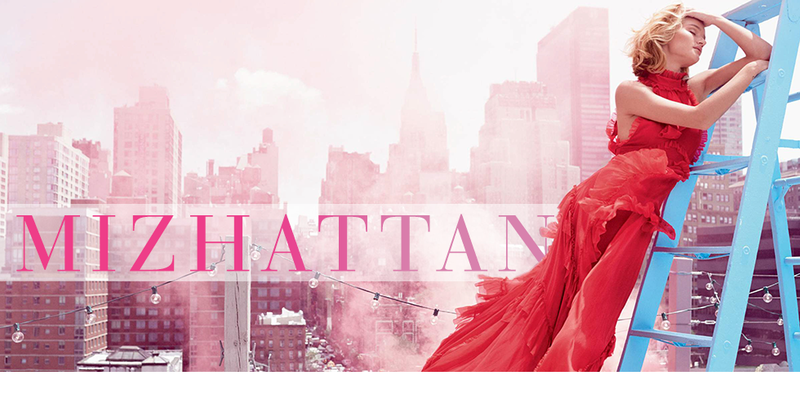 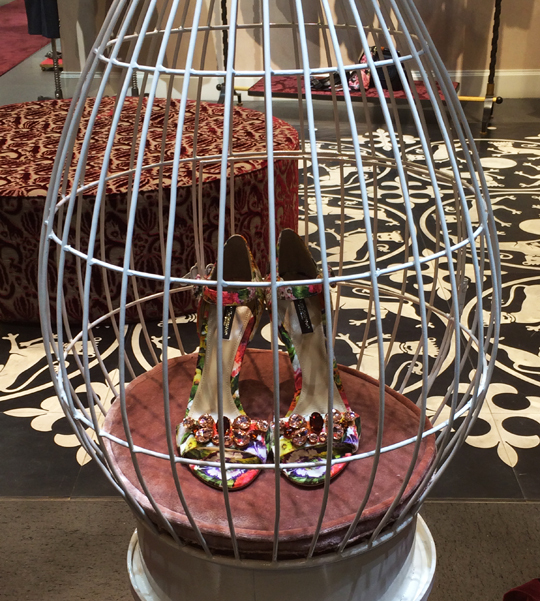 Dolce & Gabbana's Upper East boutique is pretty darn hard to miss. 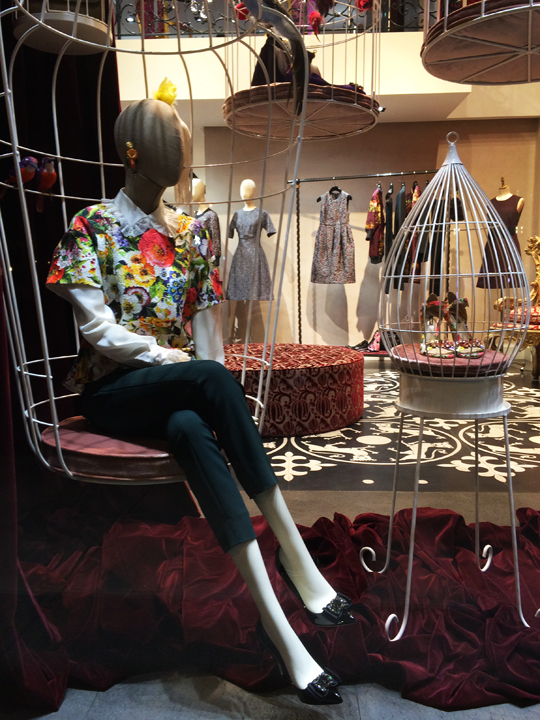 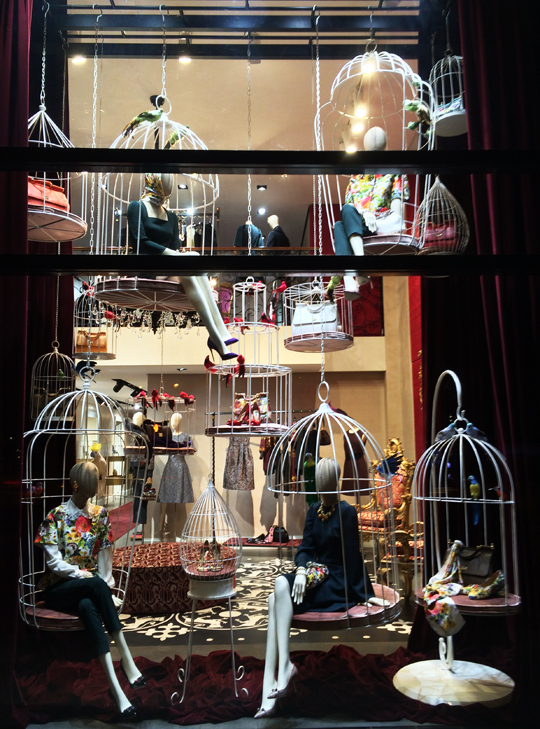 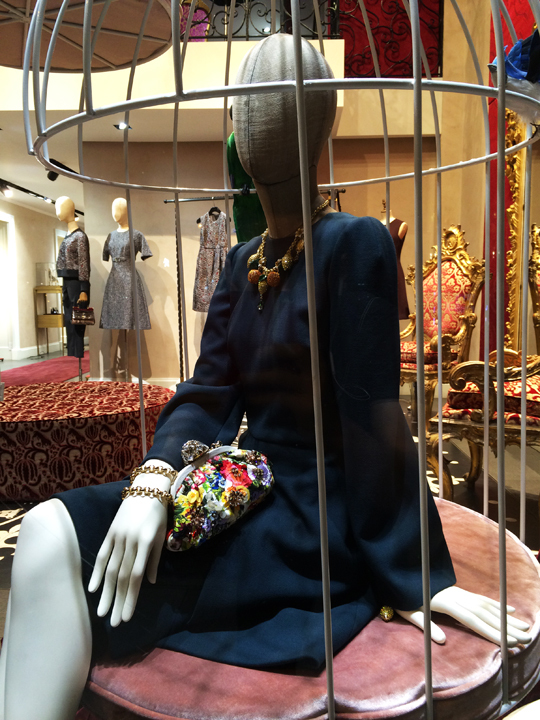 With mannequins donning colorful floral prints and sitting inside several elaborate bird cages, the Italian label's Madison Ave windows are as vibrant and dynamic as their brand identity. 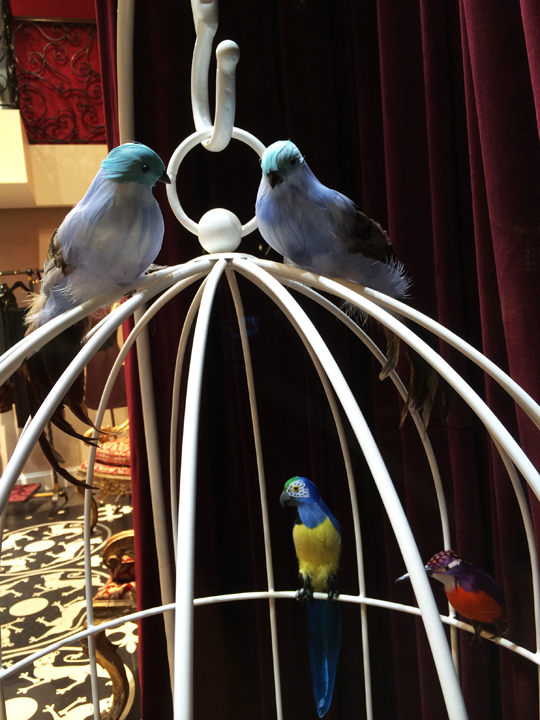 Plus, check out the cute chirping birds!